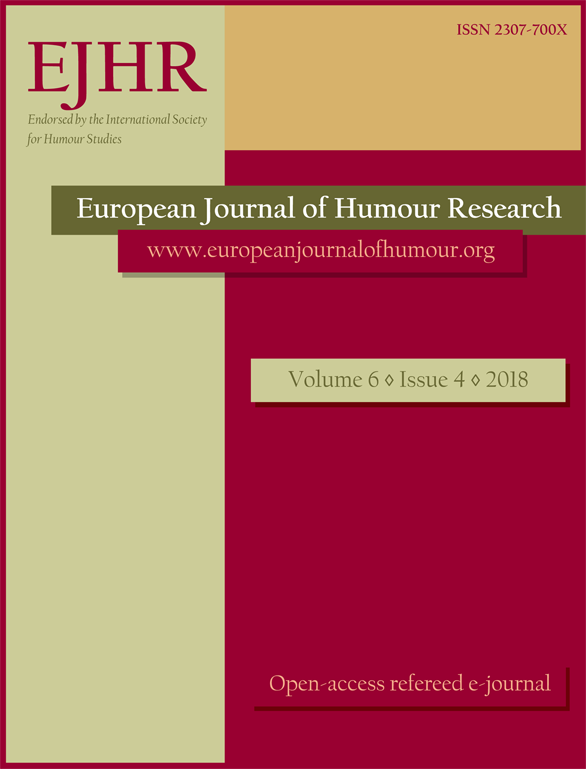 The EJHR is an open-access, academic journal published by Cracow Tertium Society for the Promotion of Language Studies and endorsed by The International Society for Humor Studies (ISHS). The EJHR publishes commissioned guest articles, peer-reviewed research articles and commentaries, book reviews and research notes, which are meant to track research projects from the start to the end of the project and provide details on rationale, methodology and project results and outcomes. The journal has a special focus on supporting PhD students and early career researchers by providing them with a forum within which to disseminate their work alongside established scholars and practitioners. No charges are applied either for submissing, reviewing or processing articles for publication. The ERIH PLUS listing of the journal is available here . The journal is now listed in Scopus, DOAJ as well as Index Copernicus (click for the list of many databases that index us too). This publication is supported by the ELM Scholarly Press and CEES.